Scream till your heart stops. Well, today was rather a pleasant day for me. 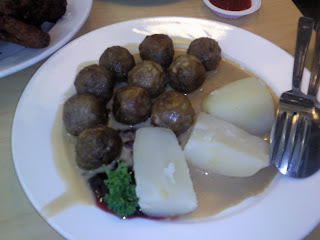 Met Joel this morning at about 11pm, bus-ed to Ikea for lunch. 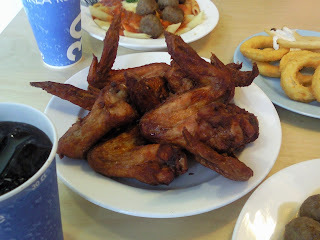 Haha, the food there is worth all the effort of going all the way to Tampines okay! Not only the furniture there looks nice, but the good tastes good too. 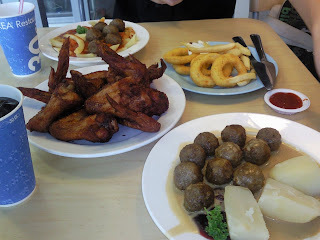 Ordered Chicken Wings, Sweden Meat Balls, Meatball pasta and Seafood Rings with Chips. Well, we managed to finished up everything :D But felt like vomiting cos' we were too full. Cabbed to Tampines Train station after that & took the train to Orchard. Train-ed to CityHall & went to Citylink mall. Went to RipCurl to look for it, but couldn't find it as well. Was feeling rather moody, cause we like wasted all of our efforts. I think i'll be missing out on quite a lot of things, & the competition's next week alrd.